The solar storm that swept past Earth over the weekend didn’t disrupt any power grids, but it did turn on the auroral lights for skywatchers over a wide swath of North America, extending at least as far down as Arkansas. 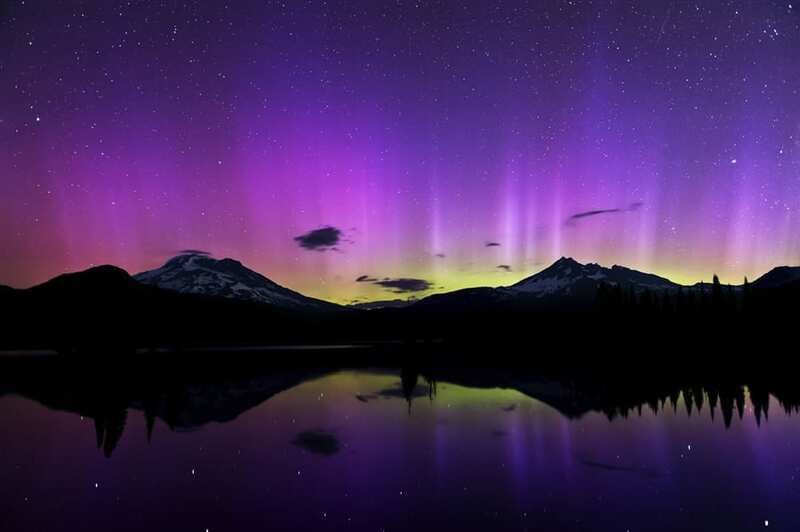 SpaceWeather.com cataloged stunning photos from the usual places in northern climes, including Canadian provinces as well as the northern tier of the United States. But this particular solar storm — sparked by last Thursday’s big coronal mass ejection, or CME — didn’t stop there. Photographers sent in pictures from Arkansas as well as Ohio, Nebraska, Utah, California and other locales well south of the usual places. There were auroral images as well from Scotland, Hungary, and yes, from New Zealand, Tasmania and the South Pole at the other end of the world. This entry was posted on July 17th 2012 at 3:43pm/15:43 and is filed under Live News Column 1. You can follow any responses to this entry through the RSS 2.0 feed.